As email becomes more prevalent in the market, the importance of email security becomes more significant. Managing large, active stores of information takes time and effort in order to avoid failures – failures that can impact the users and therefore the business, leading to lost productivity. XgenPlus is a perfect blend of Email Management and Secure Email Server. XgenPlus follows a layered approach for the security of its email server. This layered approach ensures effective email management, policy enforcement, auditing, archiving and data recovery. 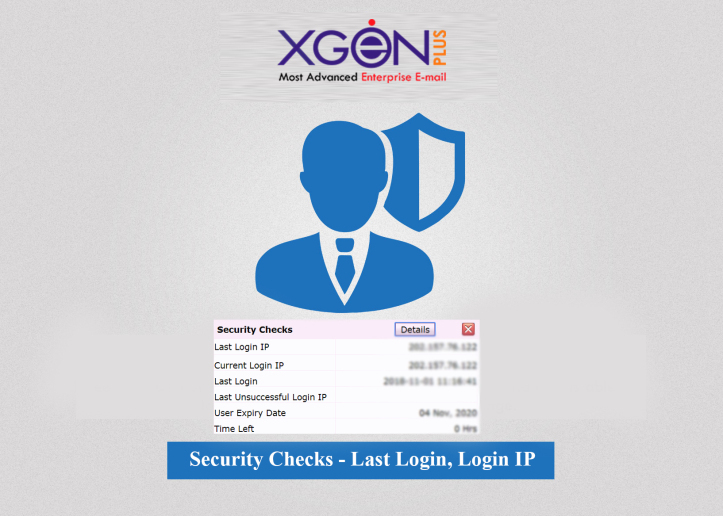 Xgenplus Email Security & Encryption address the email protection needs of every individual as well as the organization. It has integrated PGP Encryption (Pretty Good Privacy)- A public-private key cryptography system that prevents your email from being read by any third party and allows a secured transmission of emails. PGP is a public-private key cryptography system used here to easily integrate the use of encryption in users tasks, such as electronic mail protection authentication, and protecting files stored on an email server. The user is allowed to create his key pair through Generate option and by putting his passphrase. A key pair is generated and the public key of the user is made available to the entire email user base of the organization. This ensures that after pressing Send, the email is stored in encrypted format in his sent folder and recipients inbox hence not readable humanly or by any other means without using the private key and passphrase. A Digital Signature is a PGP encryption based signature that offers another layer of security over your sent email. Your digital signature includes your certificate and public key, originated from your digital ID. It is used to authenticate, non-repudiate and validate the message integrity. 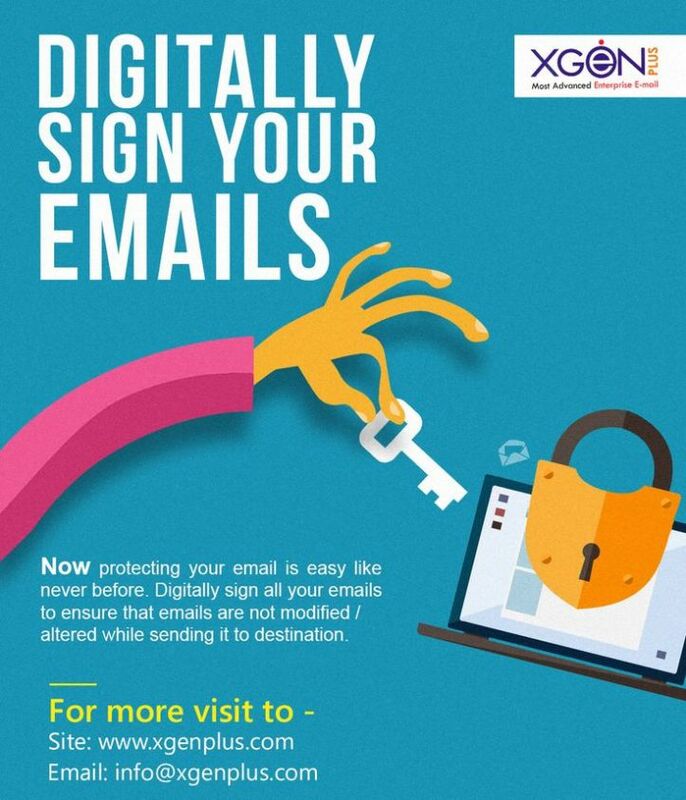 With XgenPlus, a user can digitally sign all emails and ensure that emails are not tampered/modified on the way after sending it up to the destination and verifiable by the recipient. Hide Attachment feature is next level security feature that gives you the option to send your important documents in a more secure way and protects from getting into wrong hands. XgenPlus conceals your email attachment and document inside a seemingly harmless digital dummy picture and allows the information/file to be decoded with the help of a secured password. 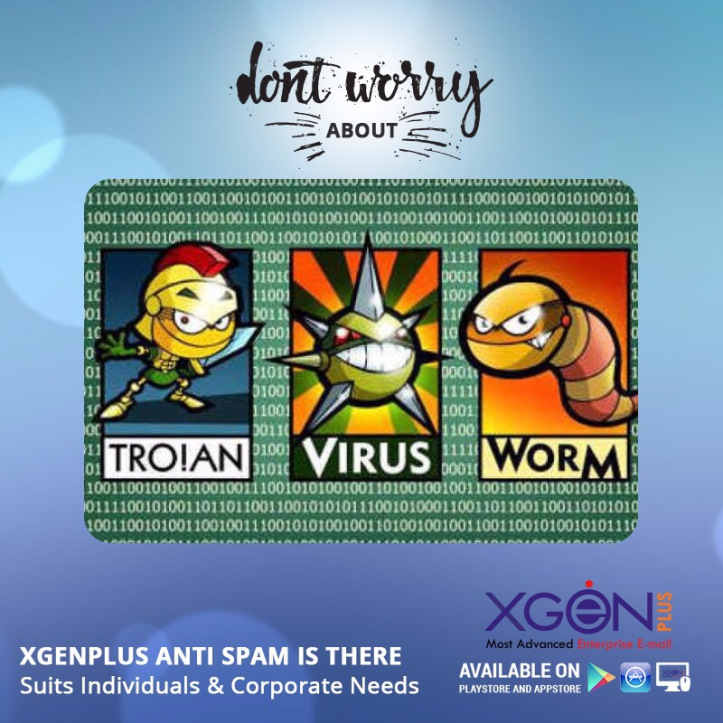 XgenPlus robust antispam technology, powered by SpamJAdoo, blocks spam and malware at the protocol level by checking the sender’s reputation against a dynamic database of known malicious IP addresses. 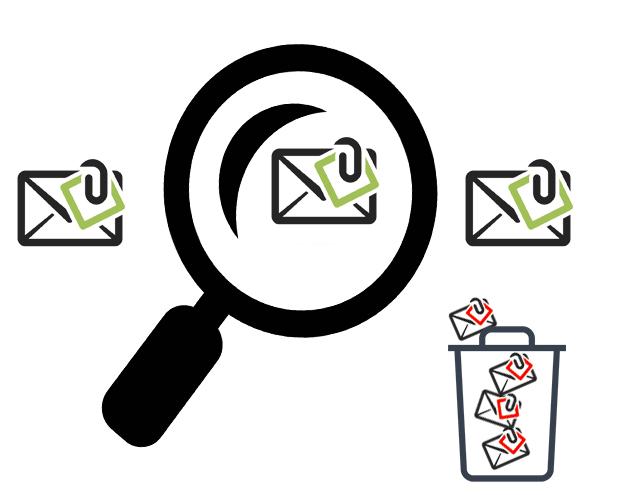 It’s Anti-Spam & Email Security utilizes block or allow lists to deny obvious email offenders and allow trusted senders. If a sender is found offended, Spamjadoo stops the email at the server level itself. Spamjadoo applies almost a dozen levels of checks and validations to every mail before letting it through to your Inbox. The powerful ESP engine incorporates over 100 rules at the server, domain and user levels. XgenPlus dynamic IP database gets refreshed from time to time and ensures that more than 70% of the spam and malicious emails are restricted at the first step of email transmission. With XgenPlus you can protect your important document without any third party application. XgenPlus, a secured enterprise email solution takes care to keep your confidential data safe and secure. 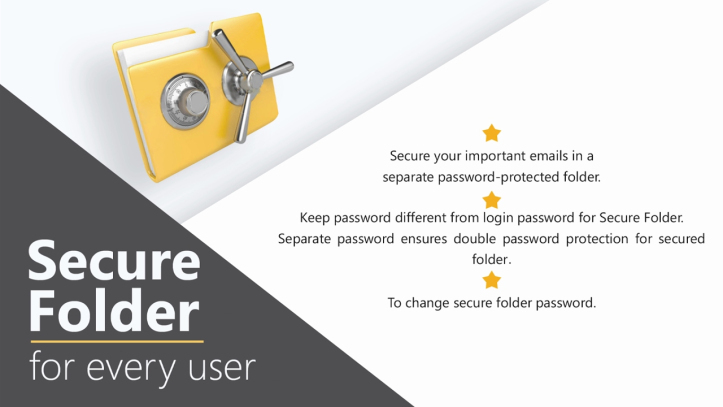 That is why XgenPlus has provided an inbuilt password-protected folder called “Secure Folder” that gives double protection to your sensitive and confidential emails, documents. XgenPlus Mail Server automatically scans the attachments you send or receive via emails. If the attachment you are sending is found infected with virus then the server discards the uploading of attachments and shows error message “Virus Detected”. These days it is very easy to steal the password or guess the password. Two-step authentication gives dual protection to your email account and ensures that no one can access your email even if the password is stolen. Want security details for your mailbox every time you log in? Get IP based security details including last login IP, last unsuccessful login IP, Date & time and intruder detection. 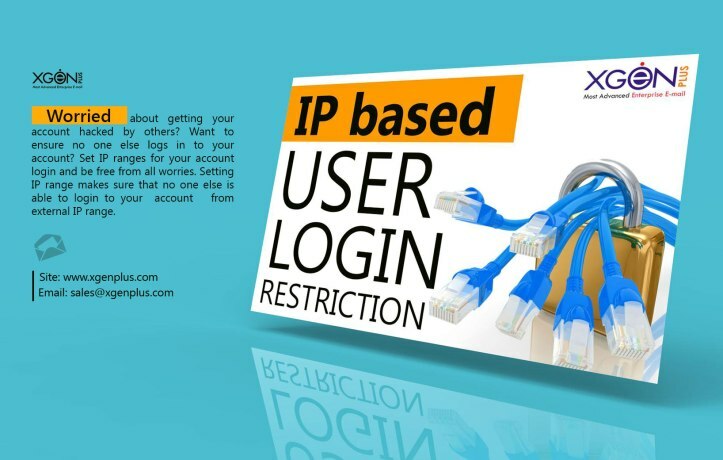 Confirm if someone has stolen your password and is logging in your account through IP based security by checking last 10 login IP details and prevent any snooper. Block/Restrict user or entire domain in order to stop incoming emails from a particular email address or domain. Recipient of your email can be controlled if he can Delete/Reply/Forward or Print your sent email using Rights Management. These are the XgenPlus email security features that expertly safeguard your business email communication at all levels without any compromises. Thus many of your clients found XgenPlus email solution as the most secure email solution for the government, enterprise, SMB’s and for organizations that cater all the security needs of any Company/ Enterprise. Take 30 Days Free Trial Of XgenPlus and try out these Features. 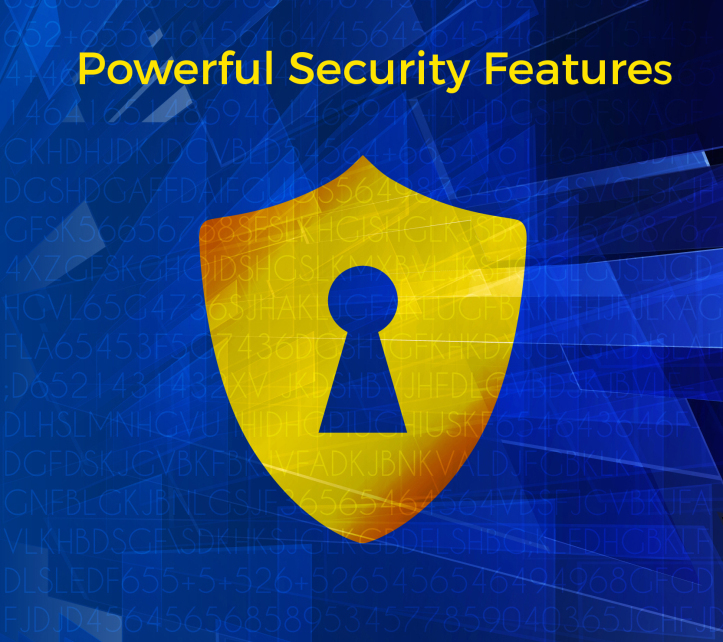 Comment us below which security feature of XgenPlus do you find unique and advance.